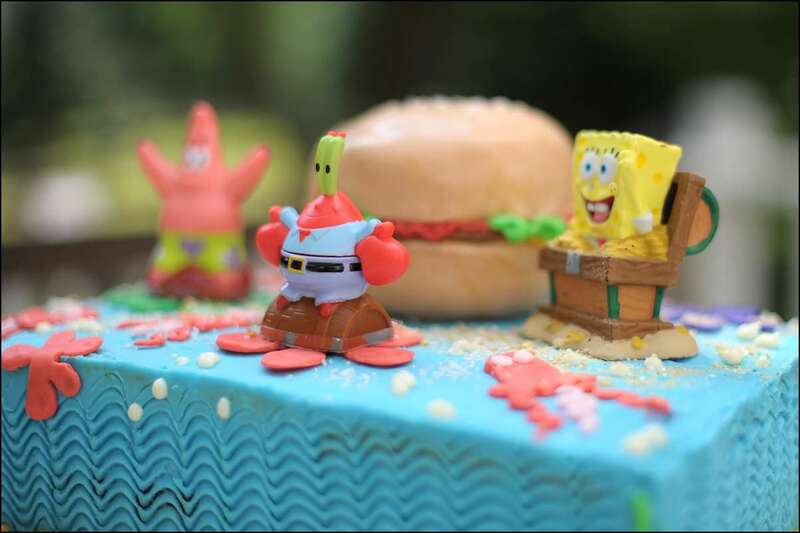 Sponge Bob and Crabby Patties, oh my! Another crazy cake for my oldest son’s 8th birthday. 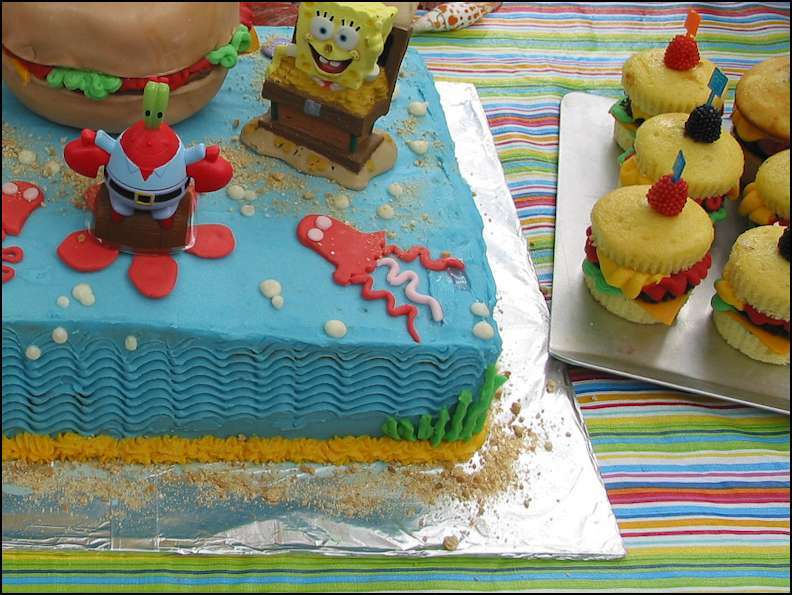 The kids were into Sponge Bob that year, so I bought a couple of Sponge Bob candles and created the rest. 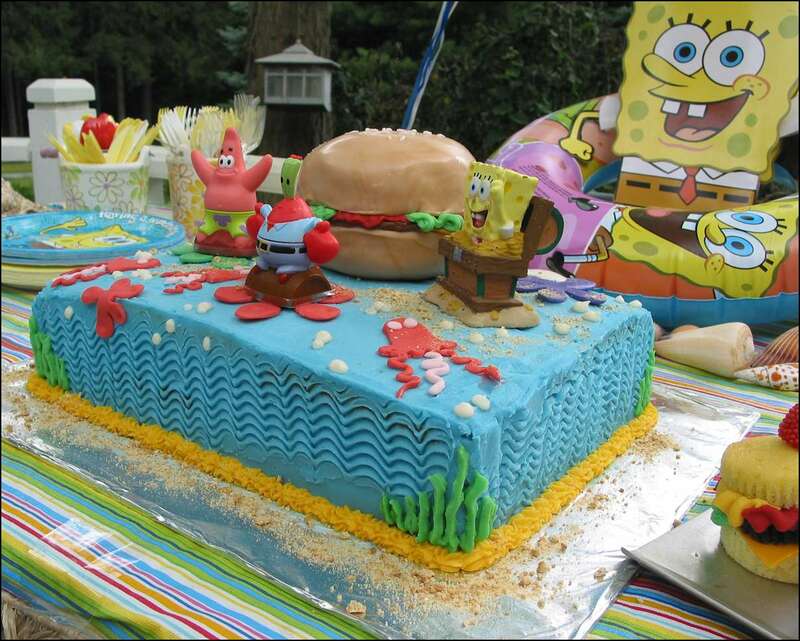 The big crabby patty on the cake is a a smaller cake made in a round cake pan, cut in half. Between the layers I added the ketchup (red icing), meat (chocolate icing), and lettuce (green fondant), and then covered in tan fondant with fondant sesame seeds on top. The sea flower shapes and jelly fish are cut from fondant. 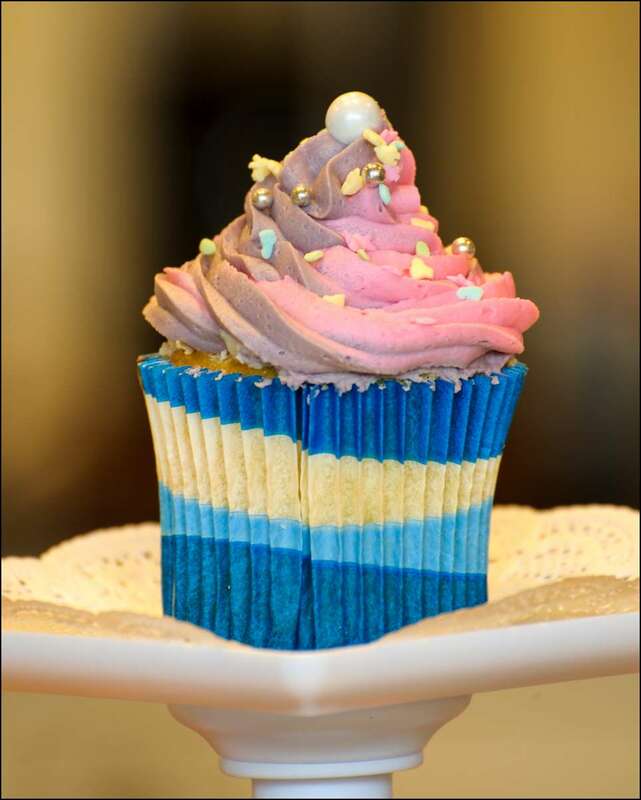 The mini crabby patties to the side are actually cupcakes cut in half with colored icing made to look like condiments. The kids loved these! 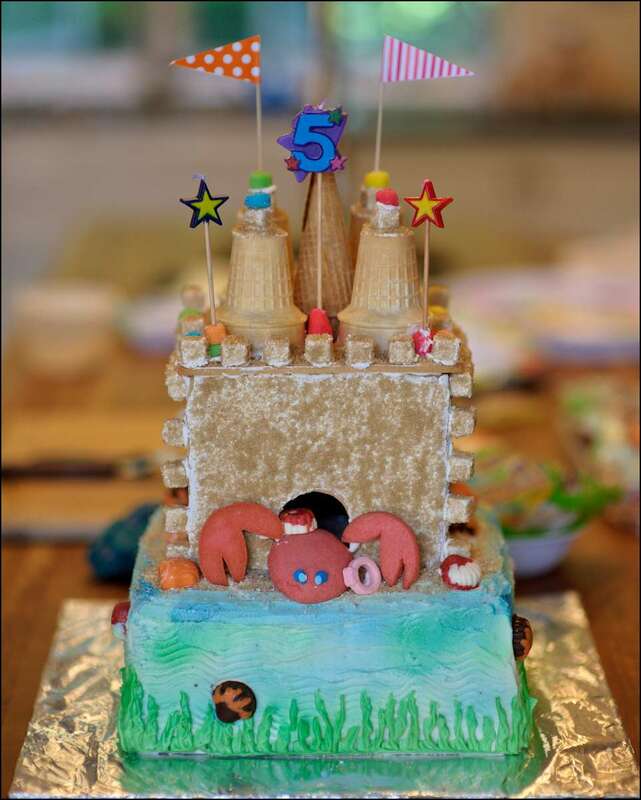 When my daughter turned 5, she wanted a beach party and this Sand Castle Cake fit the bill! 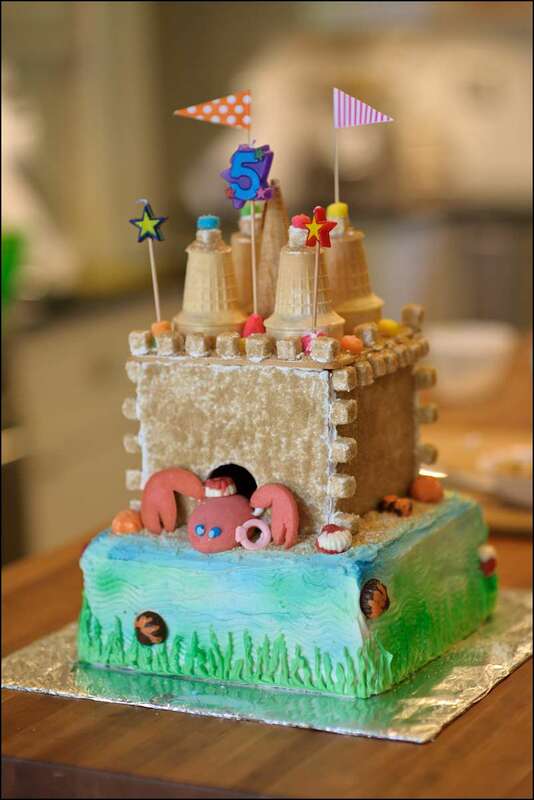 The actual sand castle is made from blonde gingerbread cookie dough rolled out and cut from a pattern. 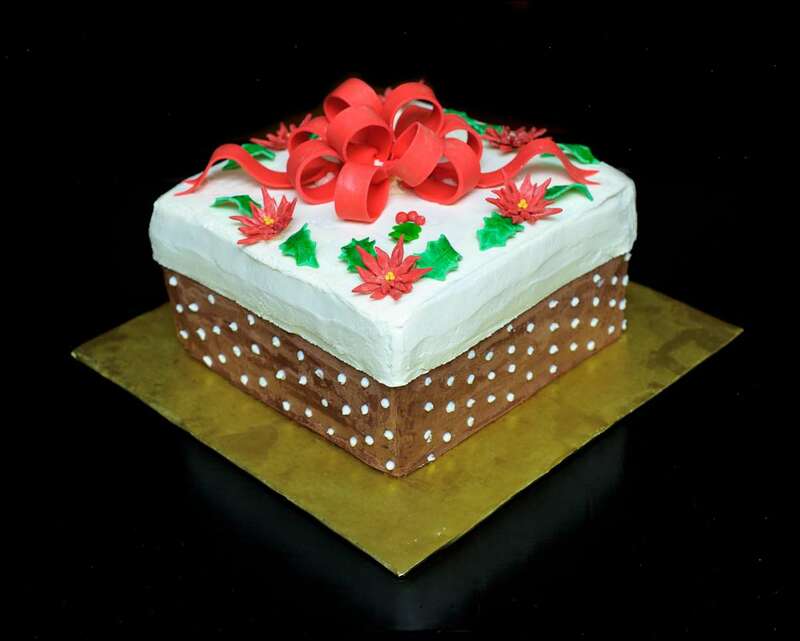 After they were baked and cooled, I “painted” the sides and top with royal icing and sprinkled with raw sugar to give a sand affect. 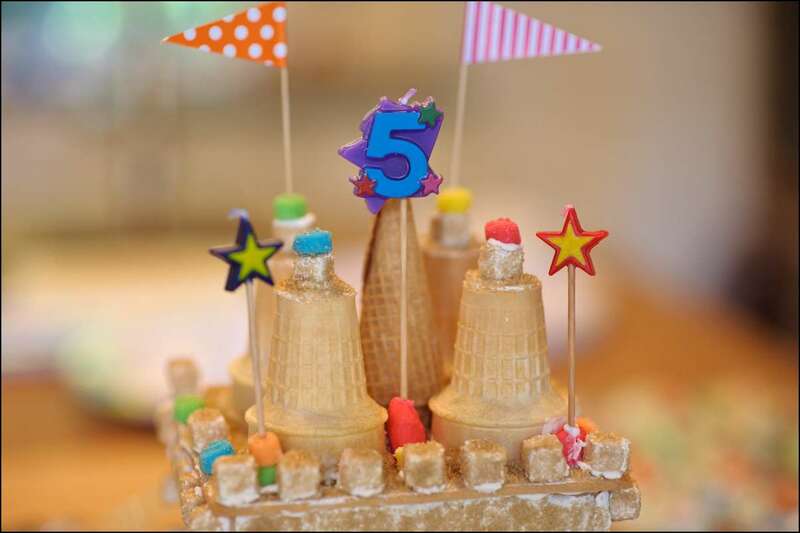 Once glued together with royal icing, the castle was decorated with cone turrets, gummy candies, and sugar cubes dipped in raw sugar. 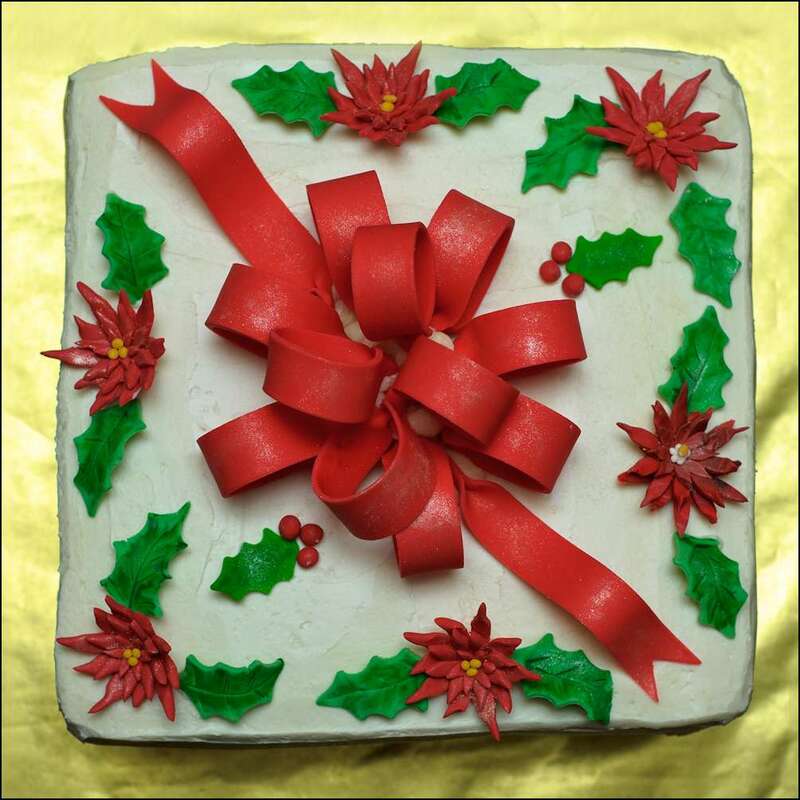 The base is an 8″ square layer cake. 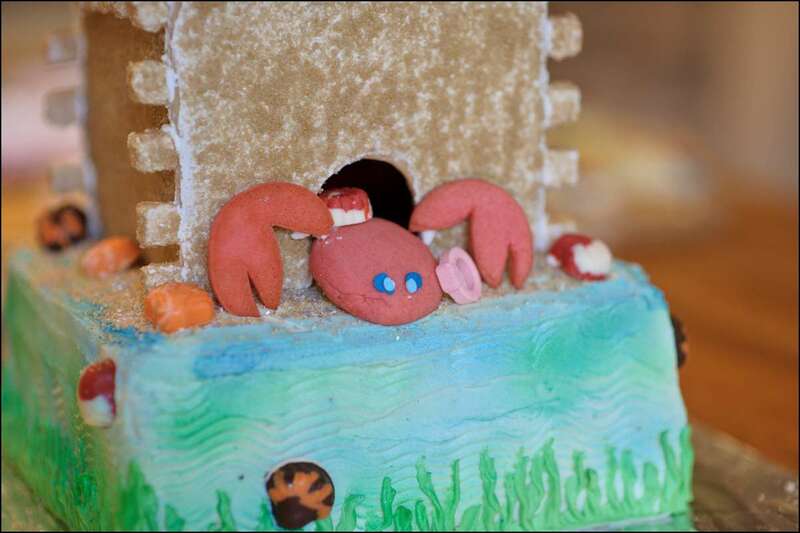 Mr. Crabs is also made from the cookie dough colored red. 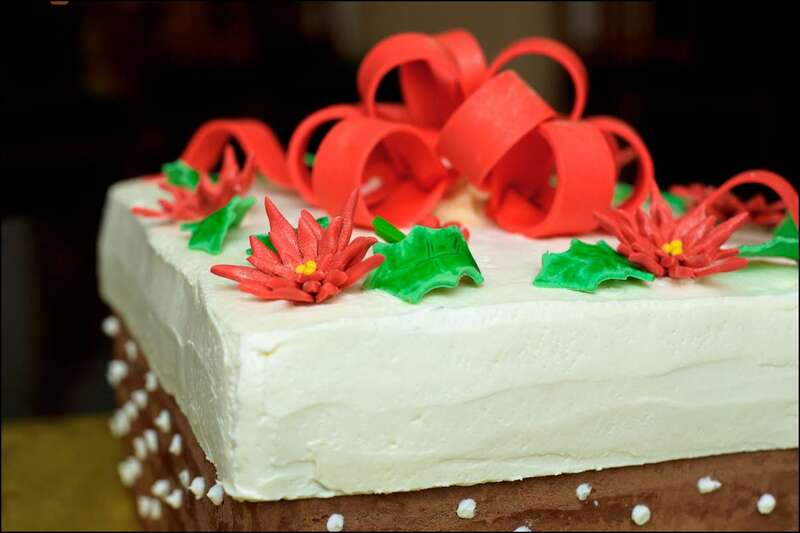 I got this idea from the “Bake, Decorate, Celebrate” website. Fun the sun! 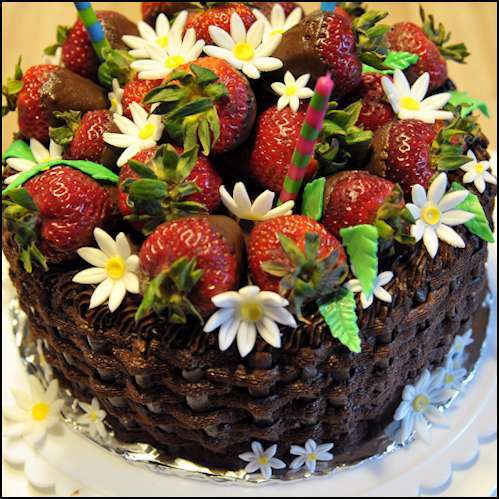 Another birthday cake with fresh chocolate-dipped strawberries on top. 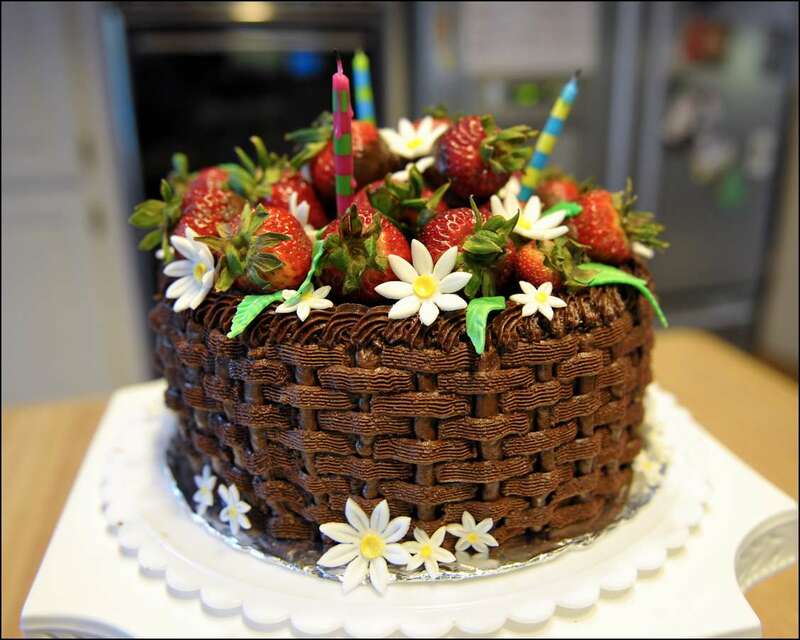 The daisies and leaves are fondant. Classic yum! 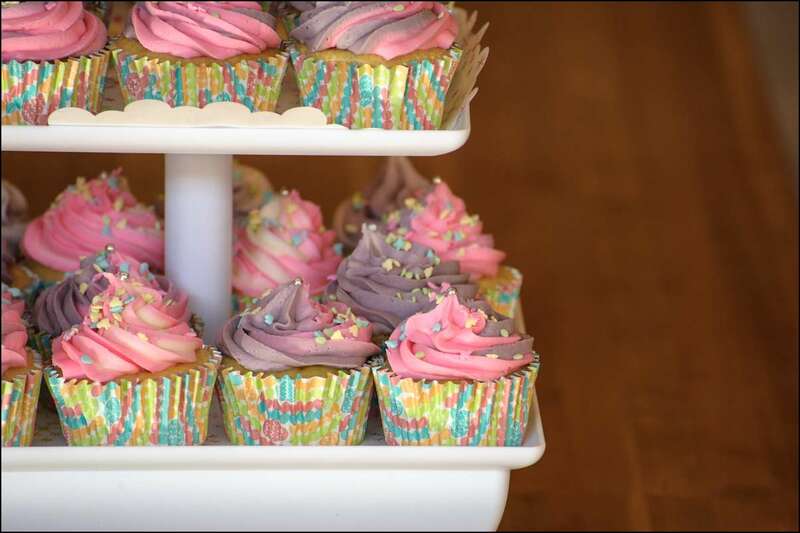 I made these for a Spring birthday party. 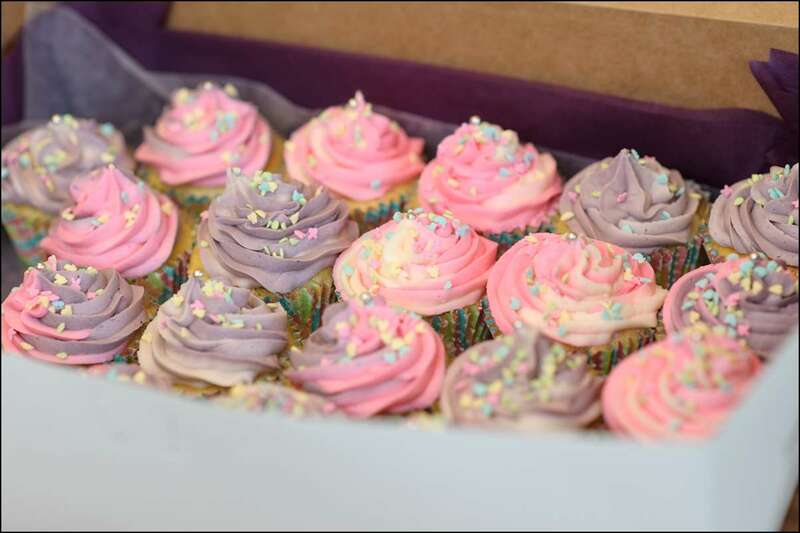 The customer asked for pink and purple vanilla-bean buttercream swirls, so I color-coded them to denote the fillings (purple=chocolate mousse, pink=vanilla mousse, and pink+purple=strawberry mousse). 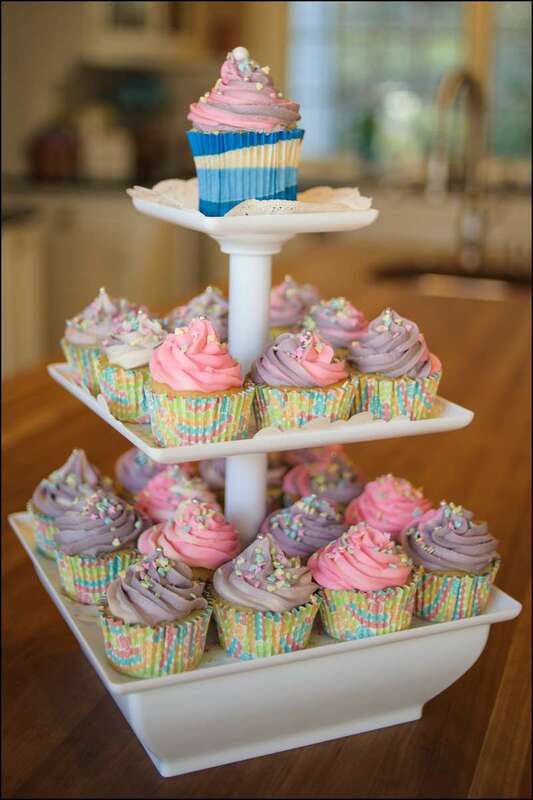 Since there was no actual birthday cake, I made a larger cupcake to hold the candles and to be a topper for the birthday girl.